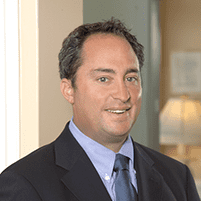 Dr. Matthew Lublin always appreciates feedback from his valued patients. To date, we’re thrilled to have collected 3 reviews with an average rating of 5 out of 5 stars. Please read what others are saying about Dr. Matthew Lublin below, and as always, we would love to collect your feedback. Great job on my hernia repair. Six months later I can barely remember I had the procedure. Dr Lublin was accessible, informative and extremely competent. Follow up was great, all questions answered. Highly recommend! Caring staff, professional people all around. And Dr Lublin is without doubt the best hernia repair doctor available. I flew from central Texas to California to meet with Dr. Lublin for my hernia repair surgery, and was very glad I did. He is the best surgeon available for this procedure, and he was most helpful with answers to all my questions, before and after surgery.